So, you´ve never heard of Passau until you´ve looked at your travel itinerary and discovered that this is also part of your trip? Well, I can promise you something (from my own great experience ;-)) – I bet, you will never forget it! OK, what is there to do? 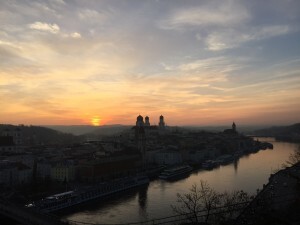 Start with a stroll along our three rivers – the black Ilz, the brown (sorry, it never has been blue – that was a lie of the composer Johann Strauss, the son) Danube and the green and mighty Inn. 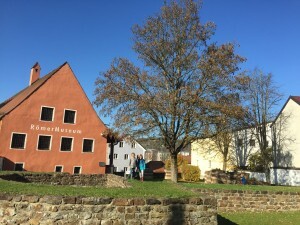 Then lose yourself in many narrow and idyllic alleys, have a bite or a cup of coffee in one of our small and cozy cafes or pubs or discover a great souvenir in one of our still privately owned tiny stores. 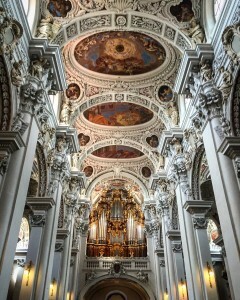 The organ recital at noon in our baroque St. Stephan´s Cathedral is a must! 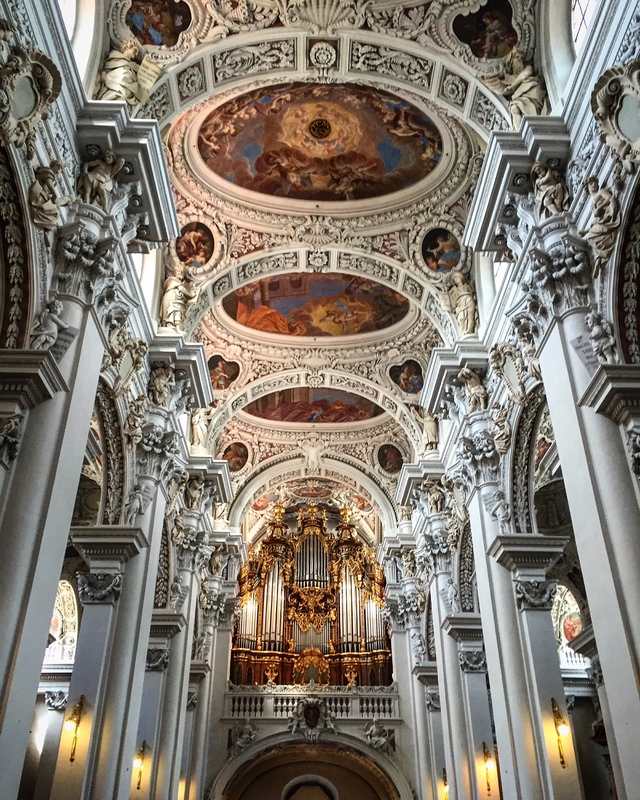 Almost 18000 pipes and 5 parts of one big organ have a sound-output you´ll never forget! 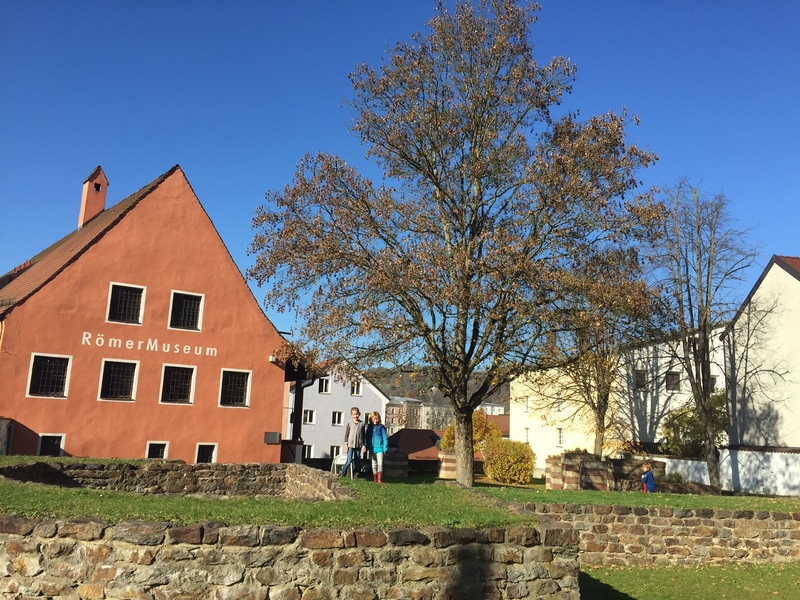 or visit one of our museums – if you like modern art, there´s the MMK http://mmk-passau.de/, the glass and crystal museum (http://www.glasmuseum.de/fileadmin/Media_Glasmuseum/Aktuelles/Flyer_Glasmuseum_01-2016_Englisch_web.pdf) or for the really ancient historians of you, showing the time when the Romans were in Passau, the Römermuseum Kastell Boiotro http://www.stadtarchaeologie.de/museum (don´t worry – even if the web-page is not in English – the exhibition is!). Are you in need of a work-out? 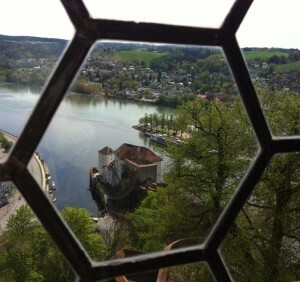 Then I´ll recommend a hike up the hill to our old castle (and museum! ), the Veste Oberhaus (http://www.oberhausmuseum.de/Information.aspx) or to the restaurant up there with the very same name. 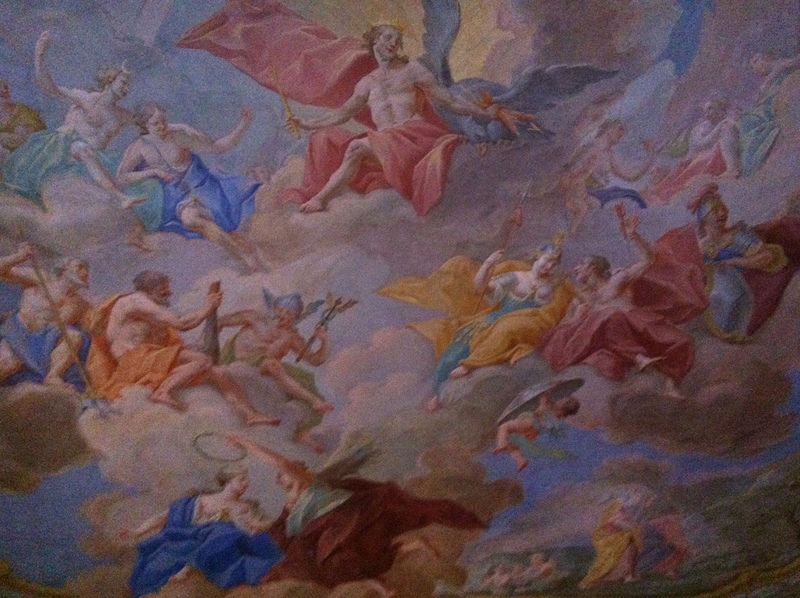 Why don´t you go on a three-river-cruise and explore the city by ship (http://www.donauschiffahrt.de/en/cruises-prices/daycruises/passau.html)? It takes 45 minutes and you´ll discover the city from a totally different point of view!